This is a great podcast that any hockey fan should listen to, especially Leaf fans. I'm not a Leaf fan, yet I enjoy this podcast so much because they not only discuss the Leafs, but the entire league. They have great guests on the show occasionally, and Dave and Jeff make this so enjoyable with their great chemistry throughout every show. Great job to them for continuing to do this on a weekly basis through the past few seasons. Dave and Jeff have THE BEST podcast for Leafs fans, period. They have a long and distinguished line of guests. Bob McKenzie, Jennifer Hedger, Paul Hendrick, Andy Frost, and have even had current Leafs players on thier show! It may be an amatuer show, but it is by no means amatuer! Great guests, great content, great fans and great participation by listeners. If you love the Leafs, tune in Sunday night/Monday morning, and see why AFITC is the best hockey pocast you can find! Awesome, just download it and see for yourself! 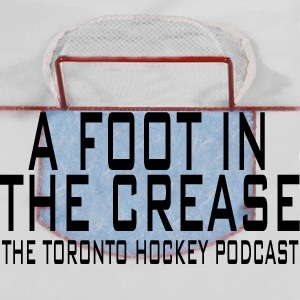 If you are a hockey fan or a die hard Toronto Maple Leaf fan this is the right podcast for you! It is full of Leaf discussion and discussion from around the NHL. Occasionally Jeff and Dave have guests that feature on the show which involve great conversations about the Leafs and the NHL. Simply a great podcast.